GET CREATIVE WHEN DESIGNING FOOD DISPLAY TABLES. 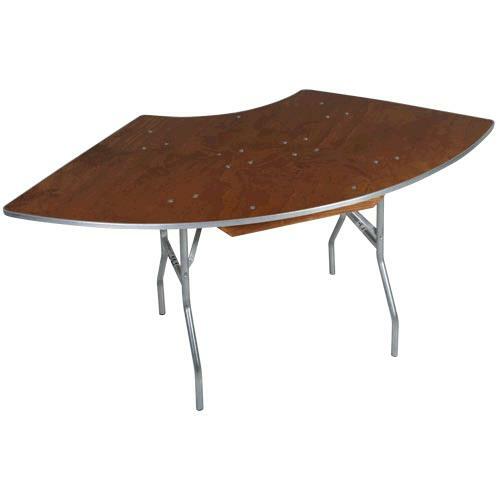 SERPENTINE TABLES CAN BE SETUP IN "U" SHAPE, "S" SHAPE, OR RENT (4) TABLES LEAVING A CIRCLE IN THE MIDDLE PERFECT TO GO AROUND THE CENTER POLE OF A TENT OR USE A COCKTAIL TABLE IN MIDDLE TO ADD HEIGHT TO DISPLAY. * Please call us for any questions on our table serpentine rentals in Rocky Mount and Wilson NC.